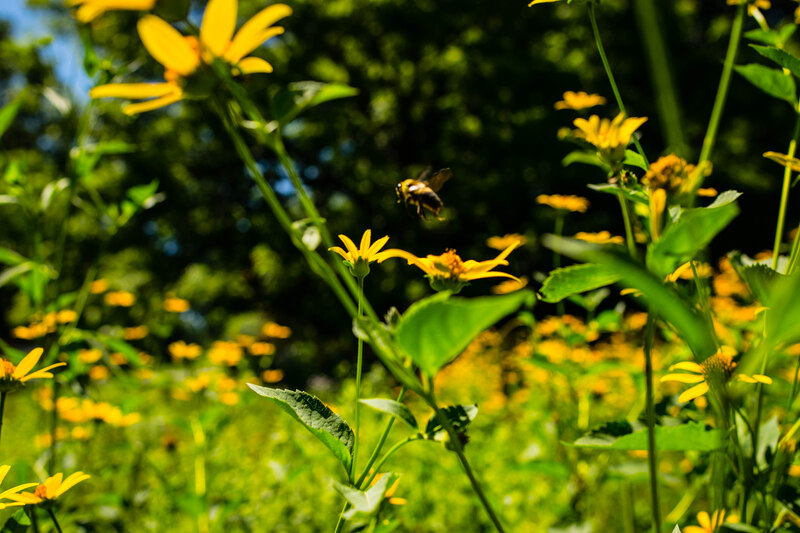 CHEVY CHASE, MD – The dramatic decline in insects – including butterflies and bees - has turned into what scientists are now calling an “insect apocalypse.” The Audubon Naturalist Society on Wednesday, March 13, will convene some of the region’s top meadow and grasslands thinkers to share best practices for establishing and maintaining meadows, which is an important way to help support a healthy insect community – one that benefits wildlife and people. Topics such as Native Plant Establishment and Maintenance, Bringing Meadows Home, and Native Plants for Meadow Restoration will provide powerful and fundamental ideas that will help turn ordinary people into extraordinary activists for a better environment. The summit comes as ANS nudges its own beautiful mix of meadows, forest, and streams back to better health under the Woodend Restoration Project. Over the next five years, ANS will minimize the presence of invasive species and maximize the presence of native species at Woodend Nature Sanctuary. This meadows component of the Restoration Project will result in a more abundant and diverse insect community, which in turn will feed birds and amphibians… and on up the food web. The plight of insects has gotten a lot of attention thanks, in part, to a 2018 New York Times magazine article “The Insect Apocalypse is Here.” The Washington Post just last week also published “Butterflies Aren’t Expendable. Our Brittle Reality Depends on Them, Too” by Paleontologist and Entomologist Michael Engle of the University of Kansas. In addition to Pearce, the Meadow Summit speakers are Andi Pupke, Chesapeake Wildlife Heritage; Sara Tangren, Ph.D; University of Maryland Extension, Home and Garden Information Center; Rochelle Bartolomei, Maryland-National Capital Park and Planning Commission; Damien Ossi, District of Columbia’s Department of the Environment); and Jorge Bogantes-Montero, Natural Resource Specialist with the Anacostia Watershed Society. The summit runs from 10 a.m. to 4:00 p.m.